About this object Under Speaker Frederick Gillett of Massachusetts, the first loudspeakers were installed in the House Chamber. 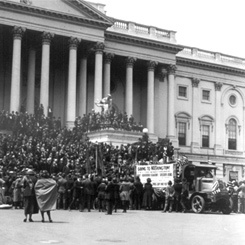 Republicans retained control of Congress and captured the White House after the 1920 election. 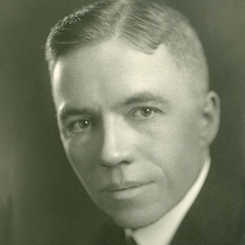 The 67th Congress (1921–1923) addressed the consequences of World War I by establishing the Veterans’ Bureau and setting country-by-country quotas to regulate immigration. Progressives created the Bureau of the Budget and General Accounting Office, regulated meatpackers and stockyards, and authorized funding for maternal and infant healthcare. Various treaties from the Washington Disarmament Conference established a new framework for U.S. foreign policy. 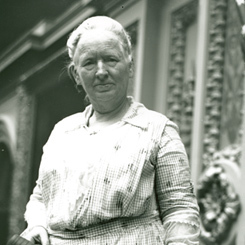 On this date, Alice Robertson of Oklahoma became the first woman to preside over a session of the U.S. House of Representatives. A Hearst newspaper truck from New York City delivered a petition to the Capitol bearing more than one million signatures in support of a bonus for World War I veterans. On this date, the first live radio broadcast of a House debate transpired.